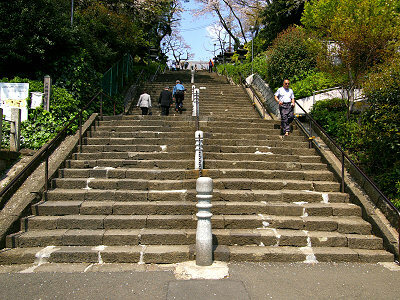 The stone steps erected by Kiyomasa Katou(1562-1611) contribution are reported. 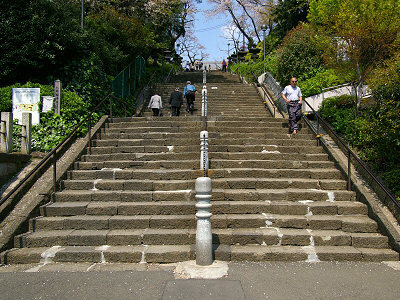 There are 96 steps. Kiyomasa Katou was a Warring States general.